Need some quick inspiration? Check out our creative writing resources aiming to inspire and support you! Encourage story telling and role play with our fun story crafts for kids. See our collection of free paper finger puppets and DIY story games. Our goal is to inspire and teach kids about story writing through our creative resources for kids. Re-tell the classic story of Red Riding Hood using our cool paper finger puppets and scene set. 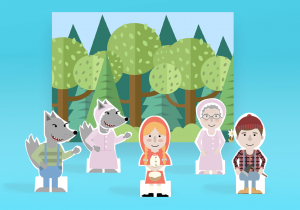 Set includes 5 characters (Little Red, Wolf, Lumberjack, Grandma and Wolf dressed as grandma) and 2 scenes (woods and grandma's home). Practice creating different dialogues for each character and re-telling the story from each character's view. Download your free Red Riding Hood paper finger puppets here. Ahoy Matey! Use this pirate paper finger puppet set to tell some swashbucklin' tales of the old sea! 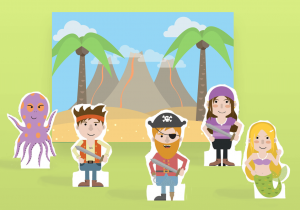 Set includes 5 characters (Pirate, male crew member, female crew member, mermaid and octopus) and 2 scenes (desert island and ship). Practice creating different dialogues for each character and telling the story from each character's view. Download your free pirate paper finger puppets here. 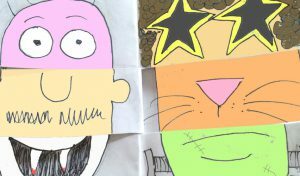 Design your own storybook characters, using this awesome DIY monster flip book. Create your own little DIY monster flip book by following our tutorial at the Imagine Forest blog. Lost for story ideas? 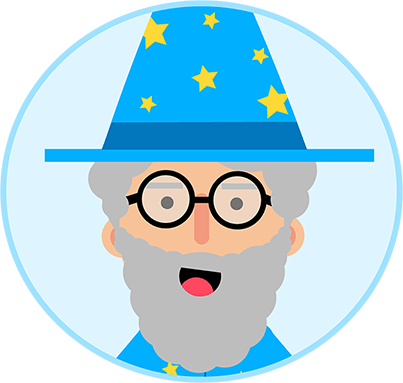 Why not create your own story idea generator. 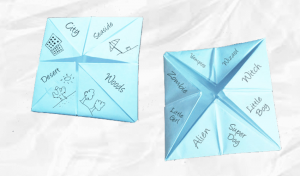 Just like the old fortune teller game, but this time you can generate cool story ideas! Follow our step-by-step guide to create your own DIY paper story idea generator on the Imagine Forest Blog. Inspiration, activities and resources to improve your creative writing skills! Imagine Forest makes writing stories easy and fun. Never again will you be lost for inspiration or story ideas. Improve your creative writing skills and imagination through exploring our website. Our motto is inspire, learn and write, the Imagine Forest way! Copyright © 2019 Imagine Forest, All Rights Reserved.